Batemans is known and loved for its Classics brands of beers such as XB and Triple XB. However, the increasingly popular craft beer market calls for more innovative flavours and brews alongside these real ale favourites. That’s where our Salem Brew Co. beers come in. Salem Brew Co. is named after the Brewery which is called Salem Bridge Brewery. Our 2019 Salem Brew Co. beers range is based upon ‘Great British Hops’, with each brew named after a British hop. Many brews are now a blend of different hops, often from around the world. These craft beers are a celebration of British hops and focus on the individual characteristics they give to the beers. Brewed during alternate months throughout the year. This brings the opportunity for ale lovers to experience new and different craft beers. Why not take a look at the beers we’re producing and see which already take your fancy? Salem Brew Co. beers are on a limited volume basis and ‘when it’s gone, it’s gone’. Be sure to order yours on your next visit to your local pub! Take me to the beer tasting notes. 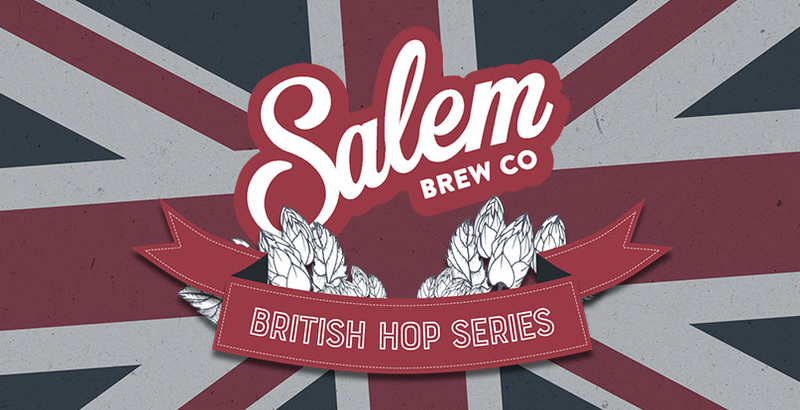 The new British Hop Series beer from Salem Brew Co.